What Industry Trend Are You Paying Closest Attention To? A | IN A DATA-RICH SECTOR LIKE HEALTHCARE, there is enormous opportunity for AI to help with R&D, customer-targeted marketing, value-based partnering on new medical innovations, accurate disease diagnosis and treatment, and early detection of emerging trends in postmarketing safety or efficacy of new drugs. Outside of healthcare, one of AI’s biggest applications may be in detecting early patterns of events that could develop into major crises. These include detecting weather patterns to predict storms even earlier. AI will be a driver in society’s next industrial revolution because it will help drive productivity and human development. 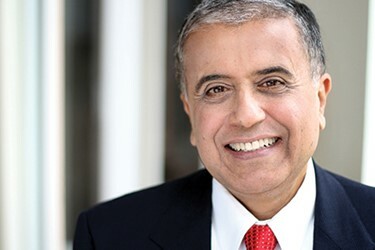 FRED HASSAN is the managing director at Warburg Pincus and former chairman of Bausch & Lomb.